Spring is FINALLY here!! 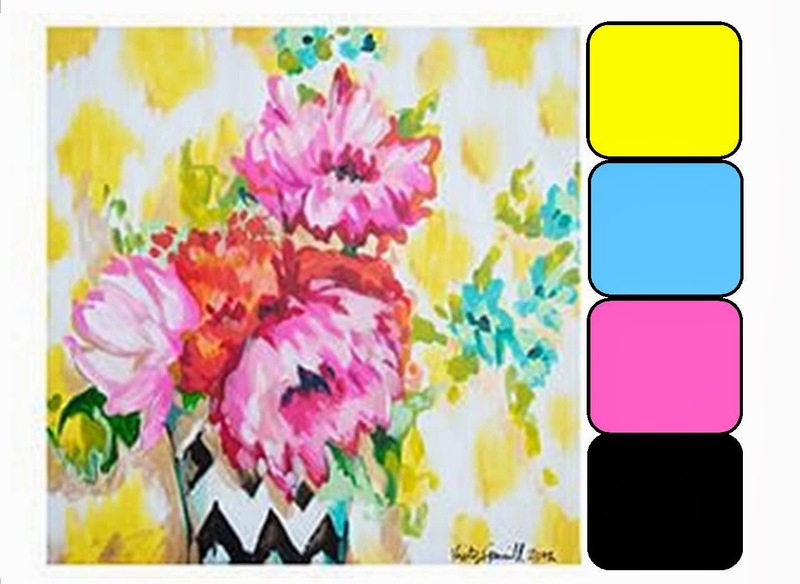 Drill #31 over at SWAT is a color challenge, and these colors say spring to me!! The other day I had an idea to do a mini TAG album. 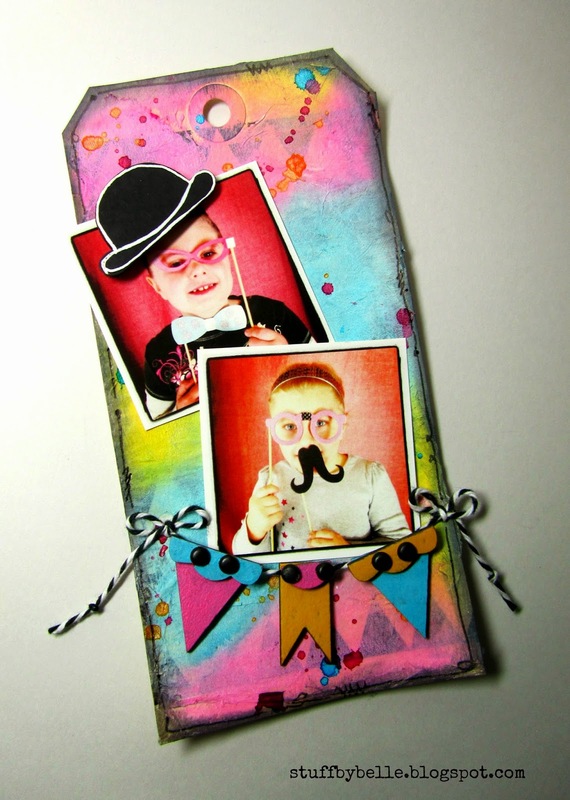 When I saw these colors I immediately thought of some fun photo booth picture I did with my nieces so that is my first TAG page for my mini. I stamped the harlequin diamond background, from VLVS!, in archival ink and then used gel medium to add a layer of white tissue for texture and a layer of gesso. I picked three distress inks to match the colors in the challenge a got to inking. Then I used black soot on the edges of the tag. Next I splattered mists in the three colors, yes I LOVE splatters! The fun hat is chipboard from the photo booth props set at UmWow Studio. It is painted with distress paint and outlined with a white pen. This is the banner mash from UWS also painted with distress paint and attached with tiny black brads. The twine is from my stash. The tag is finished off with a bit of doodling. Make sure you link up your color challenge project by the end of the month for your chance to win. 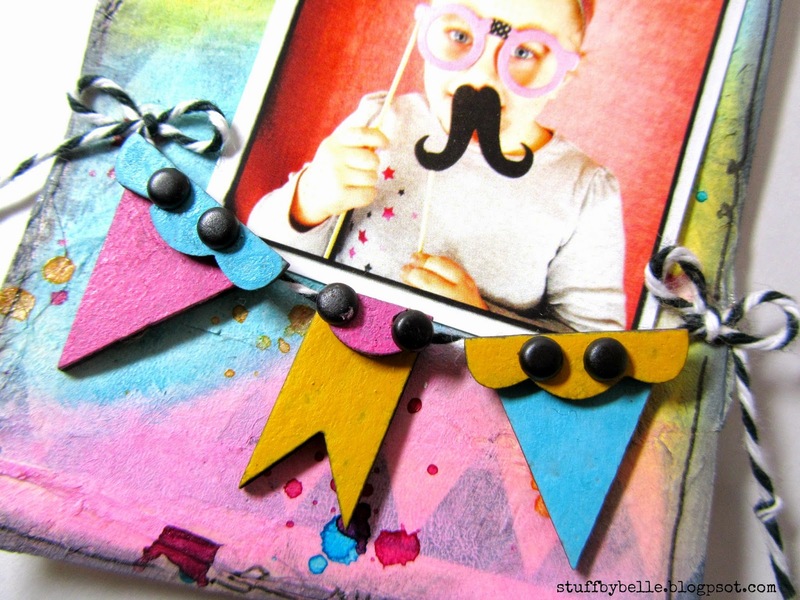 This is such a fun tag - love it! I love all the colours!!! 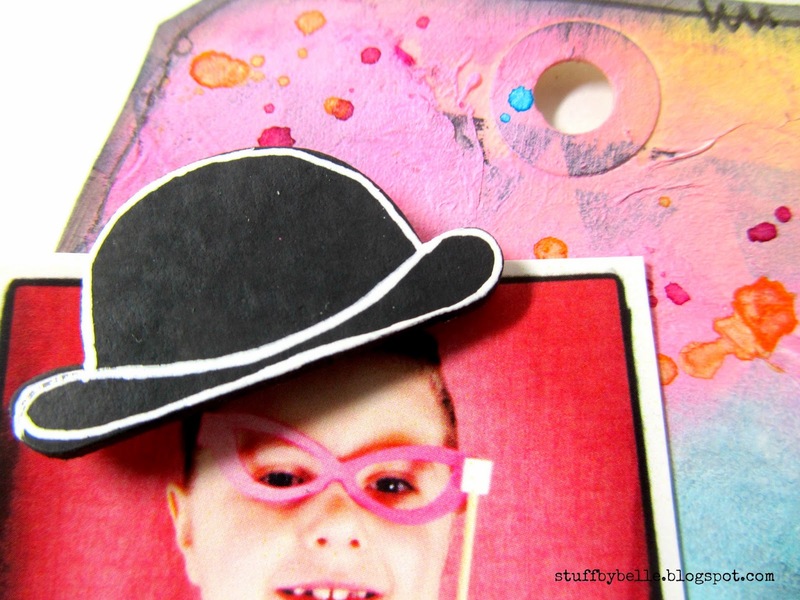 Beautiful and fun tag!